Back in January 2012 the Telecom Regulatory Authority of India ordered telecom operators to provide duration of the call or data usage, the charges deducted, balance available, quantum of data usage at the end of every call or data session via an SMS or USSD. According to the second amendement in Telecom Consumers Protection Regulations 2012, it was mandatory for all the telecos to provide their subscribers the details required in that regulation within 75 days from the end of 6th January 2012, so your telecom operator should provide you with all these details by now. If they are not, they are not abiding by the TRAI’s Regulations. A few days back we got an email from one of our readers, Kunal Vashishtha. He claimed that in Haryana, Vodafone is not yet providing some of these details. He also shared two videos with us demonstrating the what happens after his disconnects data connection and the call. We recieve many complaints about telecom operators, but most of do not provide us full details of what’s wrong, however in this case Kunal made a video to prove his point so we decided to talk to him. In our conversation, he also told us he also called nodal officer of Haryana, however he is still to get a satisfactory reply from the nodal officer. 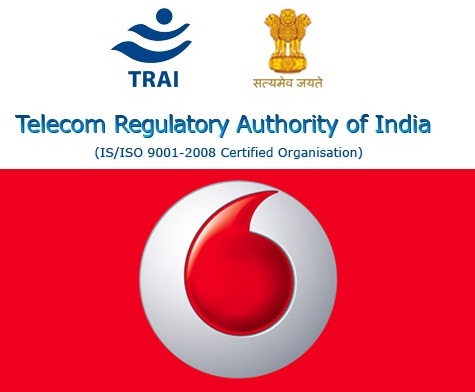 “Vodafone Haryana circle indeed is complying with the TRAI guidelines under the TCP act. The said customer is a subscriber of our data pack, wherein it is not mandatory to send a SMS or USSD till at least 80%,90% or 100% consumption is being done. We are not sure from where this “80%,90% or 100% consumption” claim is coming, so we asked Vodafone for the relevant TRAI’s document mentioning it, we are yet to receive it. Here is the relevant text from Telecom Consumers Protection Regulations. We have edited a certain part of it according to the subsequent amendments in TCP Regulations. You can read TCP Regulations and its amendments here. (iv) the validity period of the Value Added Service. Provided that the provisions of this regulation shall not apply to a consumer if he is outside his service area. If you are not receiving the above information then your telecom operator is also not abiding by the Telecom Consumers Protection guidelines. As far as Vodafone is concerned, we leave it for you to decide whether it is following the TCP Regulations or not.